It was the financial crisis of 2008 that catalyzed Robinson’s interest in transfer students. At the time, she was working at a two-year institution in Arkansas. With many laid-off workers going back to school to acquire new skills to adapt to the failing economy, it became clear to Robinson that transferring from a two-year community college to a four-year university was often difficult for students to navigate. The two systems typically have very different processes for admission and accumulation of credits for graduation, and these processes can be complicated, especially for first-generation students. “I started trying to figure out clear pathways for students so they would be prepared to transfer,” said Robinson. She began working with these students, helping them to set goals and plan ahead. 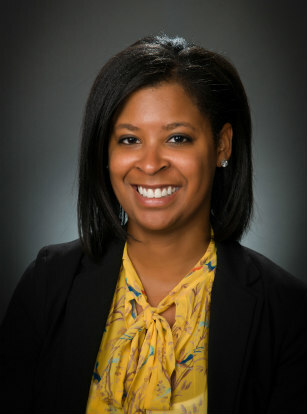 She soon moved to the University of Arkansas at Little Rock, a four-year institution, where she had the opportunity to work with these students from the other side of the transfer process. She found that many students had taken classes and obtained two-year degrees that didn’t transfer to the four-year institution. She began to question whose responsibility it was to prepare these students to transfer: Was it the responsibility of the community college or the university? Since no clear answers were forthcoming, she took matters into her own hands. She began to make regular visits to the local two-year college to advise students who were planning to transfer. When she became assistant dean for student services at UALR, she expanded these visits to include personnel from academic departments, as well as from the admissions and financial aid offices. The team would help students understand the transfer process and how to prepare for it. After receiving her doctorate, Robinson was ready to make a change. She accepted a position at UC Santa Cruz’ Baskin School of Engineering as the Director for Undergraduate Affairs, and headed west. “Here, I don’t have to start from scratch,” says Robinson. “It’s a really great feeling to know that people here [in the Baskin School of Engineering] care about transfer students and already have mechanisms in place to help ensure that transfer students succeed.” Robinson also notes the excellent admissions and student support staff already in place, and she plans to continue efforts to help all students succeed.